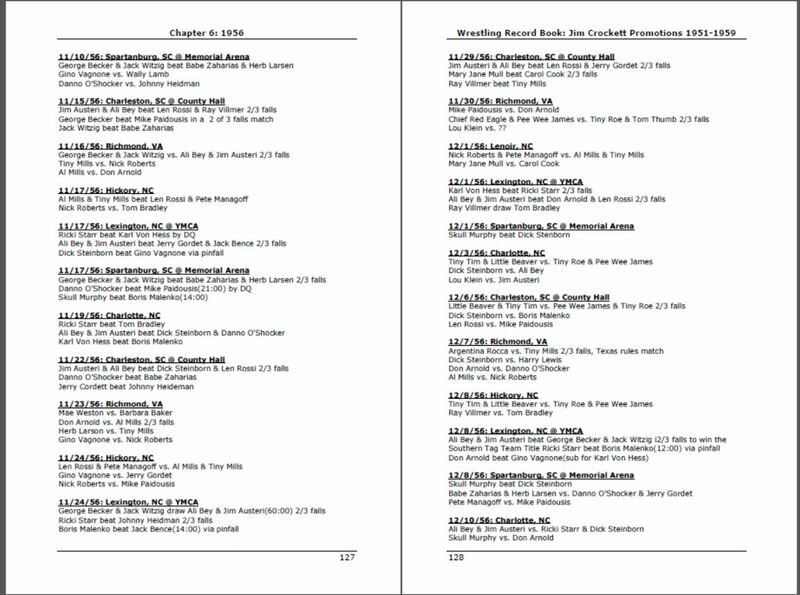 Our fourth record book that covers Jim Crockett's Mid-Atlantic territory has been released! 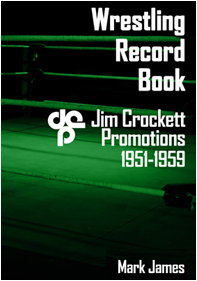 This is our our fourth and final book in our Jim Crockett Promotions series that covers the amazing Mid-Atlantic territory. This record book covers the years of 1951 through 1959. Included in these pages are the known cards for all the cities that JCP traveled to. From Charlotte, NC to Columbia, SC, from Raleigh, NC to Norfolk, VA. Anywhere JCP went, we've tried to include the cards and results.